Back in 1966, Ferrari launched a new competition version of the 275 GTB and designated this series as 275 GTB/C. 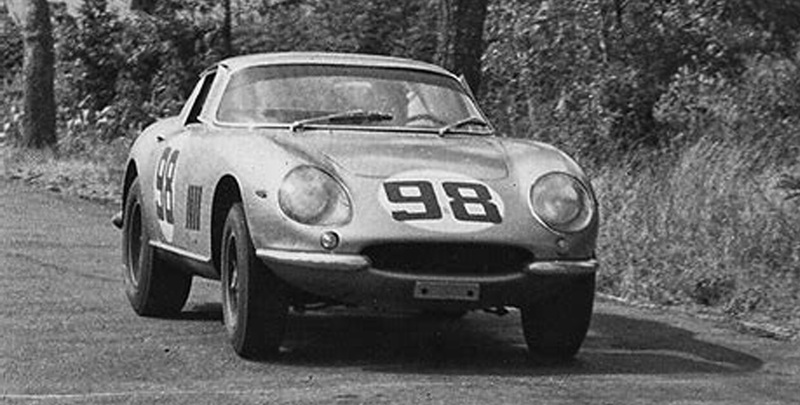 Twelve 275 GTB/C cars were built by the racing department of Ferrari at Maranello, and eight of them, including Chassis 09051, featured a left-hand drive configuration. Delivered on June 12, 1966, Chassis 09051 participated in more than 20 races successfully between 1966 and 1970. In the hands of its first two owners Renzo Sinidaldi and Alberto Federici, it clinched numerous class and overall wins. At the 2007 Pebble Beech Concours d’Elegance, Chassis 09051 was awarded the 2nd place in class trophy. At the 2017 auction, Chassis 09051 eventually was sold for US $14,520,000. CMC will replicate this high-achiever racecar in its original finish of metallic silver with start number 98 – the very look that the car assumed at its first race and the 2017 auction.